Photo: “2007fair_53” by eef ink is licensed under CC BY-NC-ND 2.0. Being that it’s April, Easter is approaching. It’s a pretty common trend for parents to gift their children an “Easter Bunny.” We use the term “Easter Bunny,” implying that these pets are seasonal, but no pets are seasonal. An “Easter Bunny” will require many more years of food and attention that parents don’t account for. Eventually, the children get busy with school and the “Easter Bunny” is left to sit in its cage all day until the day Mom or Dad inevitably decide to send the “Easter Bunny” to a shelter. According to Fox Philly, almost 80 percent of rabbits adopted from shelters were once purchased as Easter gifts, making rabbits the most sheltered animal after cats and dogs. 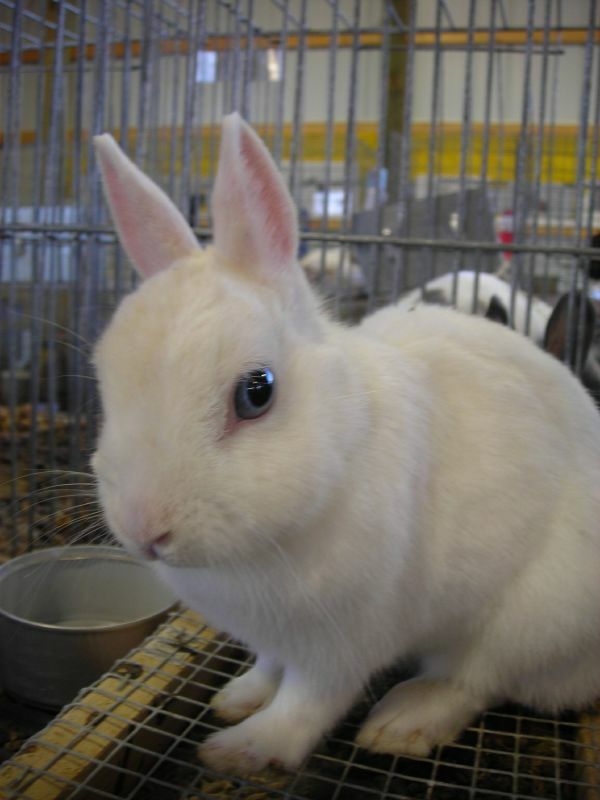 My first pet was a rabbit, an “Easter Bunny.” In doing the research, I found that rabbits don’t belong in hutches and don’t get a balanced diet from pellets—just examples of two mistakes I’ve made, but I certainly made more. Conditions less than the best simply aren’t fair to an animal. Rabbits have the ability to be potty trained much like a cat with a litterbox, except instead of the grainy, dusty litter, their box should be lined with paper-based litter. Many don’t know that rabbits can freely roam a living space, again, much like a cat. “It’s usually in September or whenever the kids get busy with school,” said Betsy Legnini from Mainline Animal Rescue in Paoli. “Parents realize they don’t have the time or the space.” Legnini informed The Quad that Mainline Animal Rescue along with many other animal shelters don’t take in rabbits anymore because of the specialized care rabbits require, leading to founding of specialized rescues just for rabbits, like Luv-N-Bunns or The House Rabbit Society. A big difference is space. Rabbits require more space than you would imagine for daily exercise and have been incorrectly marketed as cage animals. Rabbits should really have a living space roughly 12 square feet but should spend most of their time in an exercise space about 32 square feet. Yes, a pet store is more convenient and efficient, but if customers keep buying from them, they’re only kept in business. Little lives should not be treated as a product being sold or marketed—rat, hamster, chinchilla or rabbit. Of course, committed individuals usually don’t begin their adoption process with a holiday. You fill out an adoption application, wait for background checks and some shelters like to visit your home to ensure the rabbit is in good hands; a home with a dog, with sudden barking and rough play, is not the greatest situation for prey animals like a rabbit. Prey animals are afraid of anything. Unlike an outgoing, hunting animal like a dog, a rabbit might take a while to open up to its owner; the nature of a rabbit is to be afraid and more importantly, on the ground. Introducing a prey animal to a child might be traumatic for the animal, and the rabbit might hurt itself or the child trying to escape the hands of the inexperienced human. An “Easter Bunny” often comes from a pet store, where you can come in, see a rabbit, fall in love with its cuteness and leave with it the same day—just as long as you have the money. Usually the pet store is where the misinformation starts in regards to a balanced diet and proper cage size. It is here where it is advertised that rabbits are ‘low-maintenance’ and require minimal check-ups from the veterinarian, but rabbits need shots like any other animal. Yes, a pet store is more convenient and efficient, but if customers keep buying from them, they’re only kept in business. Little lives should not be treated as a product being sold or marketed—rat, hamster, chinchilla or rabbit. Not to mention, pet stores sell rabbits when they are babies, which means that when that rabbit is old enough, it’s on the owner to pay for spaying or neutering. Female rabbits have a 60 percent chance of getting uterine cancer in their lifetime and male rabbits are known to mark their territory everywhere if they are not neutered. Tell your family friends with little ones that an “Easter Bunny” is not the route to go on a holiday. Leave the rabbits in chocolate form until the kids are old enough to understand proper care requirements.